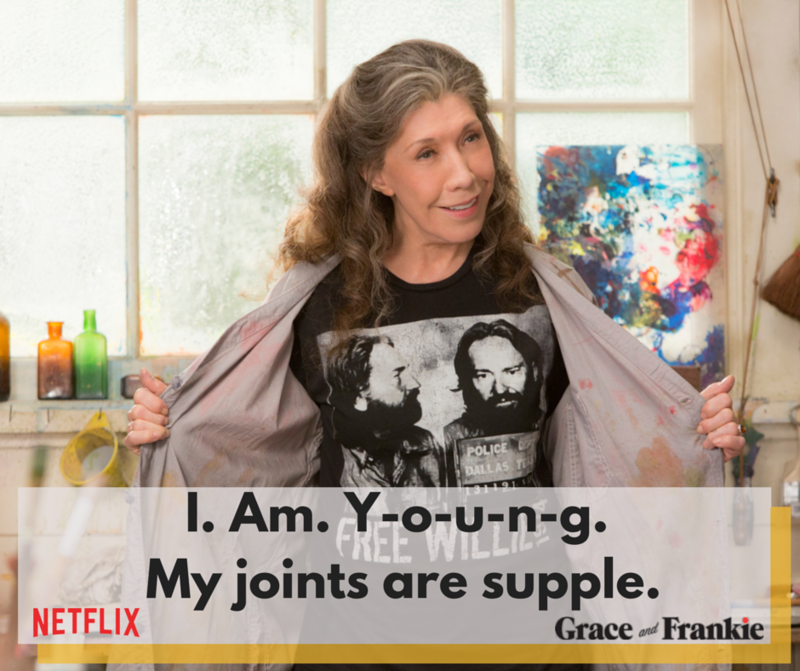 As part of the Netflix #StreamTeam, I received a subscription to facilitate this post. I have not received monetary compensation and opinions are my own. If I stay still long enough, I can still feel how I felt when I found out that the man I had loved was with someone else. We had yet to break up. It's a delicious sort of agony that still takes my breath away. Watching Grace and Frankie reminded me of that moment, but also how I put my life back together again. Thankfully, I did not have kids or a life to disrupt but it was certainly heartbreaking. I was also in my twenties, time seemed endless. Through tears and several bottles of wine, I picked myself up and phoned my best friend to help me through the wreck of my life. He and I got married several years later. Lily Tomlin and Jane Fonda in the Netflix original series "Grace and Frankie." Photo by: Melissa Moseley/Netflix. 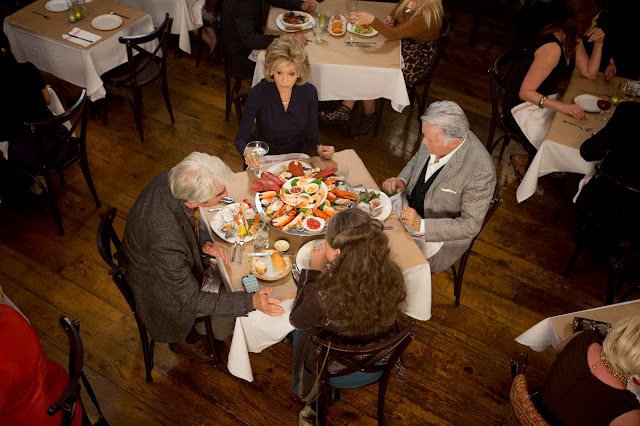 Grace (Jane Fonda) and Frankie (Lilly Tomlin) are stuck together after their husbands (Sam Waterson and Martin Sheen) tell them that they are leaving them for each other. 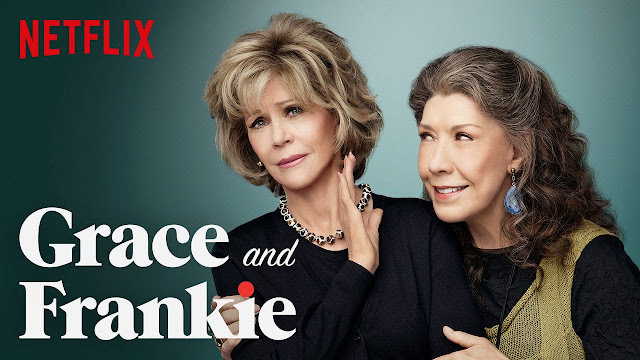 Grace and Frankie deal with the changing dynamics of their families and being alone so unexpectedly in their senior years. Watching the men adjust to being open about their relationship while still struggling to come to terms hurting the women they love and have families with is awkward, especially in the first episode, but it gets so much better with each episode. Isn't that relationships though? Awkward in the beginning, enough problems to make you stronger and laughable moments? I've watched the series all the way through and I think it's very funny and also has moments of heartbreak, longing and tenderness. All the makings for a perfect series plus a cliffhanger. Growing old is hard but having to do it in your seventies??!? It sure is funny to watch it happen on Netflix.